Rome is where modern street art blends with ancient architecture to form a timeless mural that covers the city streets. 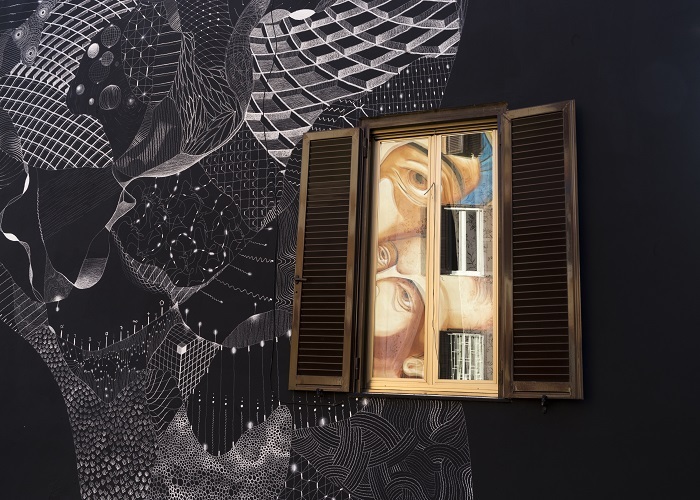 With the emergence of new murals from renowned street artists, Rome’s reputation as a key street art destination is growing. 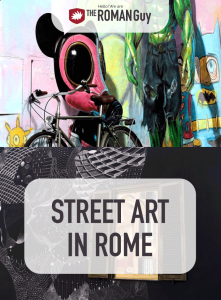 For those who love to get lost in city streets, let us show you where to find street art in Rome. When exploring all that Rome has to offer, don’t just do it alone. Join our English-speaking, expert guides on one of our many best-selling tours of Rome. 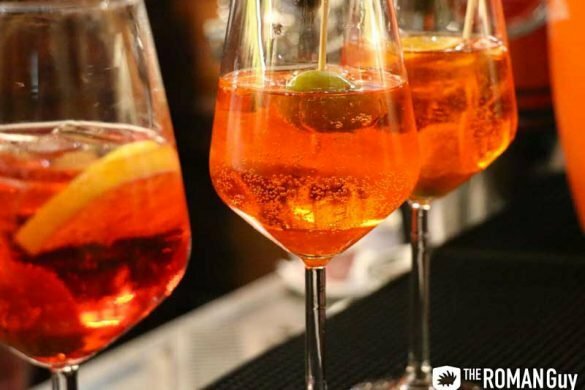 Experience the Vatican, Colosseum and Spanish Steps on a Rome in a Day Tour. See for yourself why thousands of happy clients leave us five-star reviews on TripAdvisor. 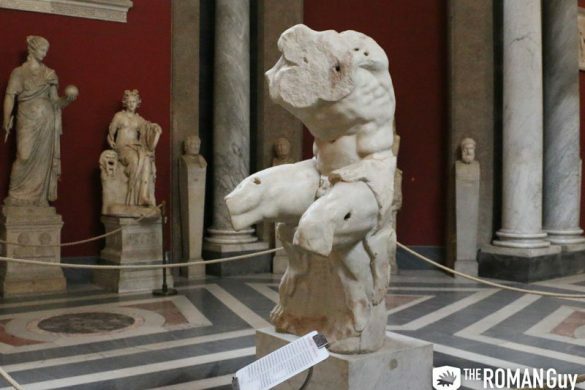 Rome is a city with a rich history in multiple mediums of art. Visit Rome, and you’ll see the influence of The Eternal City’s art history throughout its streets. From the historic architecture of its buildings to its fountain sculptures and detailed reliefs emerging from walls. A stroll through the Piazza Navona offers a visual display of Baroque Architecture and Roman sculpture. Vatican City’s St. Peter’s Basilica commands the Roman skyline, its dome a beacon of Renaissance Architecture. A short walk from Vatican City leads you to the Ponte Sant’Angelo Bridge with its many sculptures of angelic figures watching over the River Tiber. Despite changes in presentation and design, art has remained constant in its role as the indicator of the spirit of the times. Michelangelo’s Sistine Chapel frescoes and Raphael’s iconic School of Athens both contain instances of the artist painting images of themselves into the finished product. Street art reflects an attitude toward present times in its homage to previous eras. Located at the Rome Metro’s Porto Furba – Quadraro stop, this neighborhood in Southeastern Rome is home to a tightly-knit community, the ruins of Ancient Roman aqueducts, and a vast array of public street art. The neighborhood’s independent spirit is anchored by a populace and familial structure that has called it home for generations. 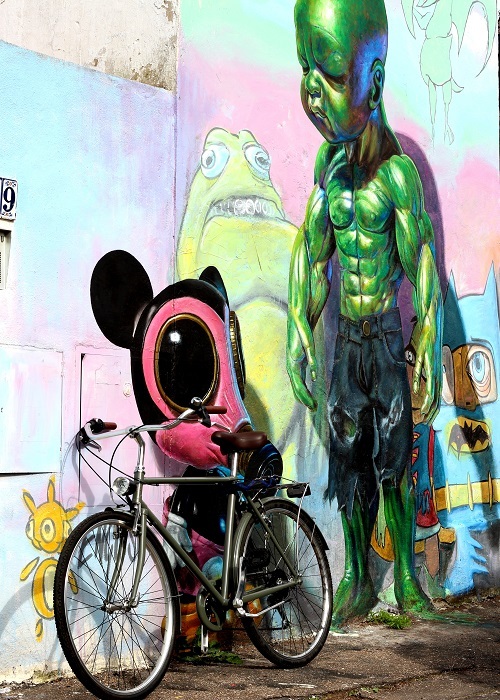 One of Quadraro’s most famous pieces of street art is Robert English’s “Baby Hulk”. 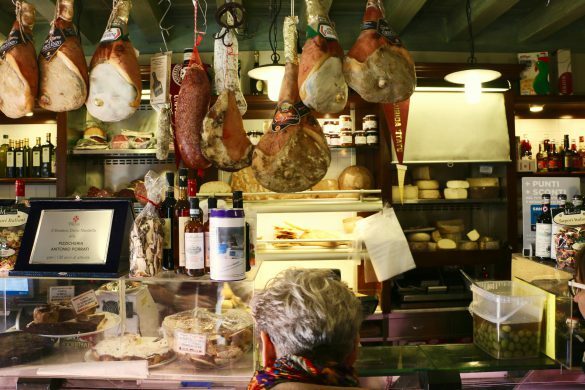 Rome’s Trastevere neighborhood is a popular Bohemian and expat enclave located on the Tiber River’s west bank. 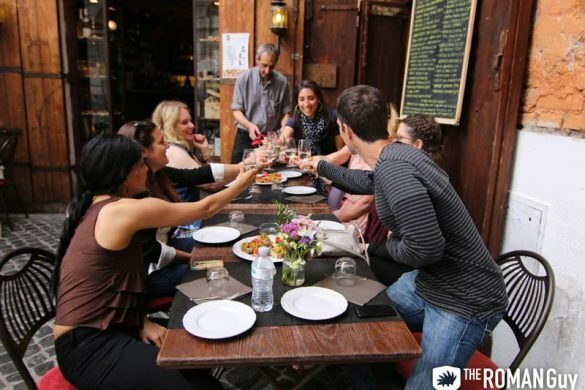 Filled with cafes, trattorias, bars and street performers, this trendy neighborhood has something for the rebellious spirit visiting Rome. With its roots deeply ingrained in rebellion, street art can be found all over Trastevere. Some notable pieces include Italian street artist Mimi the Clown’s many takes on pop culture icons including David Bowie. If you’d like to know where to find street art in Rome, many other Roman neighborhoods are home to a dazzling array of murals. Neighborhoods such as Prati, Testaccio, Pigneto and San Basilio are some of the other places offering buildings adorned with visual splendor. Visitors to Rome will enjoy the blend of Ancient Roman art and modern-day street art. This juxtaposition of old and new is just one of many reasons why The Eternal City is a place to experience for yourself.